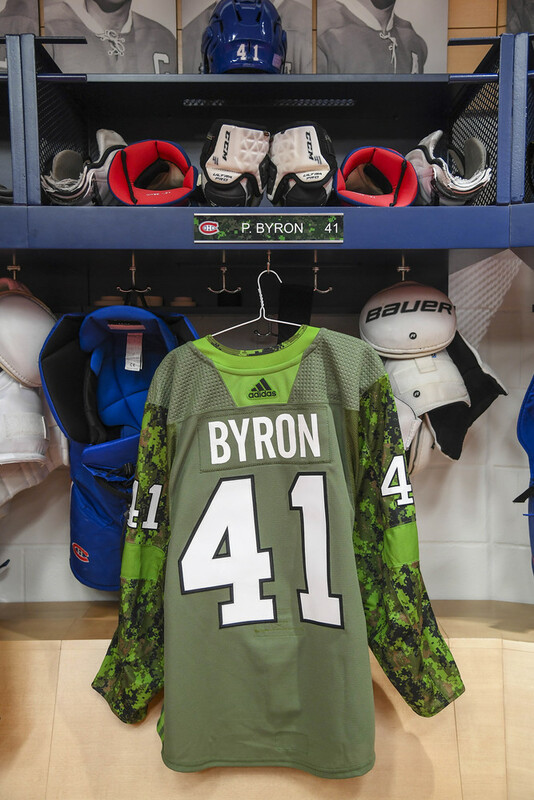 Bid now on this #41 Paul Byron Military Appreciation Night Warm-Up Jersey prepared for pre-game warm-ups on November 10, 2018 against the Vegas Golden Knights. All winners will receive their jerseys via mail after November26, 2018. Local winners will have the option to pick up their jersey at the Bell Centre. All proceeds from the auction will benefit Support our Troops who provides financial support and assistance to Canadian Armed Forces (CAF) members, veterans and their respective families. 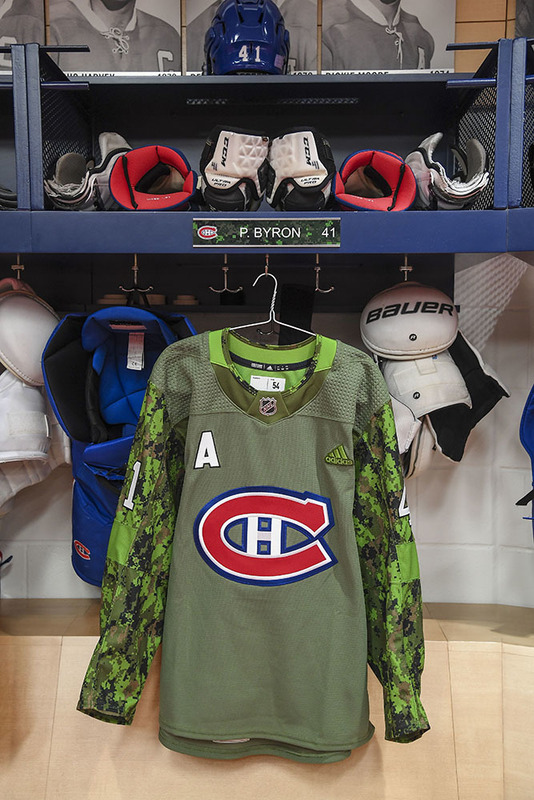 For more information about the cause, visit: www.supportourtroops.ca A certificate of authenticity will be included with the jersey and the jersey will be autographed. Shipping costs are as follows: Within Canada: $40.00 USD To USA: $60.00 USD International: Please contact the Montreal Canadiens for more information at chr@canadiens.com All winning bidders pay shipping charges and are responsible for all tariffs, taxes, duties and any other additional costs associated with shipping. Upon credit approval, all items will be shipped from Montreal via FedEx (or similar) to worldwide locations . Shipping charges will vary based on your geographic location. Local pick-up of this item is also available at the Bell Centre (with appointment).